The successful delivery of innovation requires a commitment to execution. Here are five best practices that will help you ship your innovation on time. On-time innovation is the theme and focus of this blog post. A major part of bringing innovation to market involves mastering the discipline of innovation. In fact, one can make the case that excellent execution transforms a moderately innovative idea into a market success. Earlier in July, I listened to a compelling keynote address by Derek Sivers, a musician turned entrepreneur who built one of the world's most successful online retailers. During his presentation, he stressed the importance of execution. Let’s explore the fundamental habits of execution today. These habits are particularly important for companies that are launching new products, entering new markets or undergoing some kind of transformation. Making choices on where to spend your efforts is the first execution decision to make. Following this habit means saying no over and over again. The first version will only work on Windows and perform two functions, for example. Additional ideas are great and they will have to be deferred to a later time so that your team can focus on the essential. The basic rules of customer service do not require advanced study, yet many organizations routinely fail in this area. 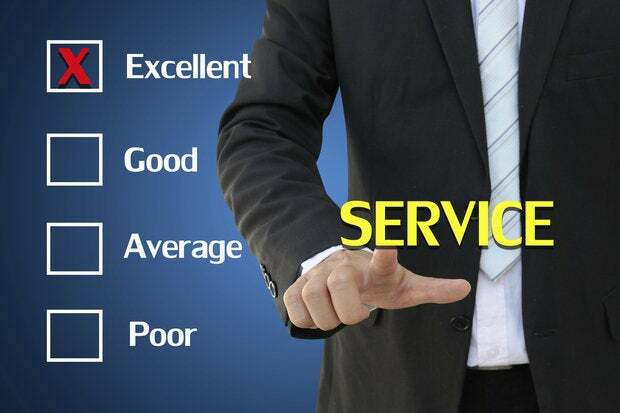 According to research from Temkin Group, as reported by Forbes, TV, Internet and health plan providers tend to have the worst customer service year after year. Poor customer service means introducing innovation is much more difficult. Offer customer service in multiple languages. Salesforce Desk is now capable of operating in over 30 languages including English, French, German and Japanese. Set response deadlines. A timely response is often more valuable than a perfect response delivered a week late. B&Q, a British company, recently won recognition for responding to customer questions on Twitter in 3 minutes. How will you define customer service in your organization? Start by setting deadlines. and look into increasing your flexibility in serving customers. What customer requests could you fulfill to make an impression with your innovation? Staying organized with your tasks, communication and projects has become one of the great challenges of twenty-first century knowledge workers. We have a variety of tools and technologies to choose from ranging from free tools, such as Gmail for communication, to paid resources, such as Nozbe. No matter the technologies you use, there is a bigger question in play. Do you have the necessary habits and routines to stay organized? If you ever feel overwhelmed by communications or new ideas, then it makes sense for you to learn a productivity system. In my experience, I have found great value in using the weekly review to become more productive. It is one part of a broader productivity system called Getting Things Done, by David Allen. If you have never tried it out, I encourage you to use this approach for at least 30 days to see if it is a good fit for you. "If you are not embarrassed by the first version of your product, you've launched too late." – Reid Hoffman, LinkedIn founder. Pilot tests are a tried-and-true methodology that many organizations use to develop new products. Share an early version of the product with a small number of people before you invest serious resources in production and marketing. No matter how many lab or quality tests you do, there is no substitute for feedback from customers. Discussion question: What approach do you use to improve the consistency of your execution?